Are you a lover of scruffy little terriers that like to play, play, play?? Boy are we a match!! 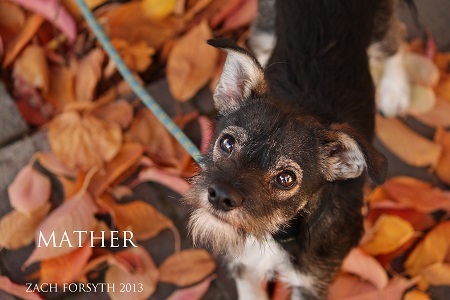 My name is Mather a 1 year old, 14 lb bundle of wire-haired energy and affection! My long legs are great for climbing rocks on the hiking trails and my sweet little face is perfect for taking pictures of it. At the end of the day I will come home and melt in your arms as we snuggle under a blanket. I am super with other dogs, and interested in kitties but would do well living with a tolerant one. Since I’m still a young guy training classes are a must, but you will soon see how smart I am and we will have a blast learning new things together! Ready to start our adventure together? Fill out an application at pixieproject.org so we can schedule a meet and greet! I am crate trained, fixed, vaccinated and microchipped. My adoption fee is $250.